The forum on “Democratisation of Administrative Buildings in Ukraine: an Architectural View” was held in Kyiv on 30 January 2019. The event was attended by the representatives of the architectural community from Stockholm, Lviv, Kyiv, the Government of Ukraine and hromada leaders. In course of the forum the manual on “Experience of physical establishment of ASC in the frames of the Inception Phase of the U-LEAD with Europe Programme” was presented. The manual is the first in Ukraine comprehensive collection created by leading Ukrainian experts of the U-LEAD with Europe Programme’s support to improved administrative service delivery, based on the experience of the Initial Phase of the Programme, which provides practical recommendations for the physical establishment, modernisation and visual decoration of the ASC premises. Recommendations of the manual are based on the best practices developed in the 26 pilot hromadas of the Initial Phase (2016-2018) and will be used to established and upgrade up to 600 ASCs in course of the Roll-Out Phase (2018-2020). 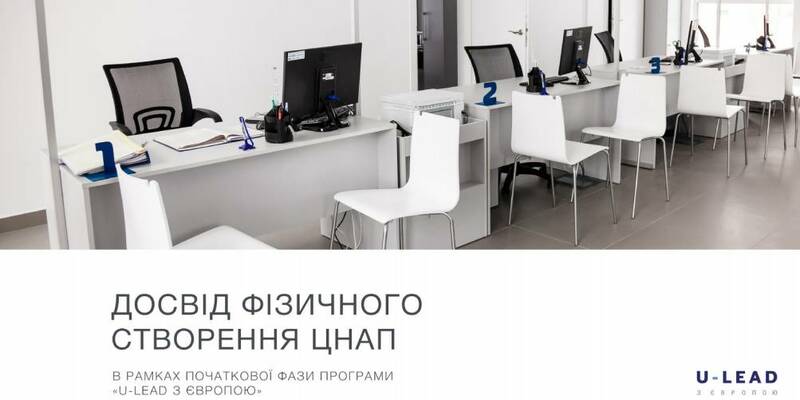 The Manual can be downloaded on the website of the U-LEAD with Europe Programme’s support to improved administrative service delivery: https://tsnap.ulead.org.ua, as well as in our online library (DOWNLOAD 24,2 MB).